Hosted by the South Australian Cricket Association (SACA), the Friendship Cup continues to grow each year. The cricket friendly is a symbol of multiculturalism and some of the great healthy activities that South Australia has to offer. The day got off to a tough start with a change of venue due to the heavy rains affecting the grounds. As a result the matches were moved and played at Victoria Park. The change in plans however did not dampen the great skills and enthusiasm which were on display on the day. A total of 12 teams played in the Cup, representing Sri Lankan, Bhutanese, Nepalese, Indian, Pakistani, Afghan, the Australian Army and SAPOL community groups. Immigration SA and Adelaide University also participated in the 1-day event. In summary everyone who turned up for the event was a winner. Besides the game there were also cultural performances and food. A word of thanks to the dancers from the Nepalese community, who provided entertainment at the presentation. Work Visa Lawyers believes in the participation of community events and we look forward to the next Friendship Cup in 2018. 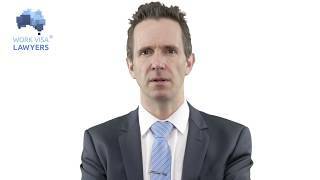 Chris Johnston is a Registered Migration Agent (MARN: 0640686) and Lawyer in South Australia, founding Work Visa Lawyers in 2011. Chris is also a member of the Migration Institute of Australia (MIA) and was recently elected to the Vice-president position for the South Australia State Executive Committee. 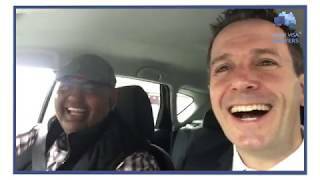 Under the management of Chris, Work Visa Lawyers have grown from a one-man company in 2011 to a business with 3 Registered Migration Agents and 6 staff in total. The business assists individuals and companies with migration matters, such as visa application, sponsorship application, responses to monitoring by the Department of Immigration and Border Protection (DIBP) and so on. 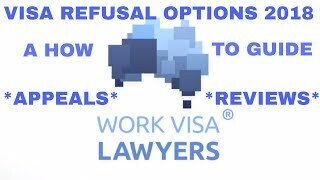 Based in Adelaide, South Australia, Work Visa Lawyers works with clients from around Australia and from overseas. IMPORTANT: Immigration SA Skilled and Business Nomination Application Now Available. Requirements Updated! Immigration SA to close online state nomination application system on 25 June! End of Financial Year approaches! Online application system shutdowns and more! Immigration South Australia announces changes to High Points Nomination and Chain Migration!